Dogs on the Water – Round 2! Last month we posted 6 adorable photos of kayaking pups. Their owners sent us the photos via our adventure collector, and we knew the world needed to see them. Since that post, we’ve had an influx of dog photos coming across our computer screens. And lemme tell ya, we’re not complaining! 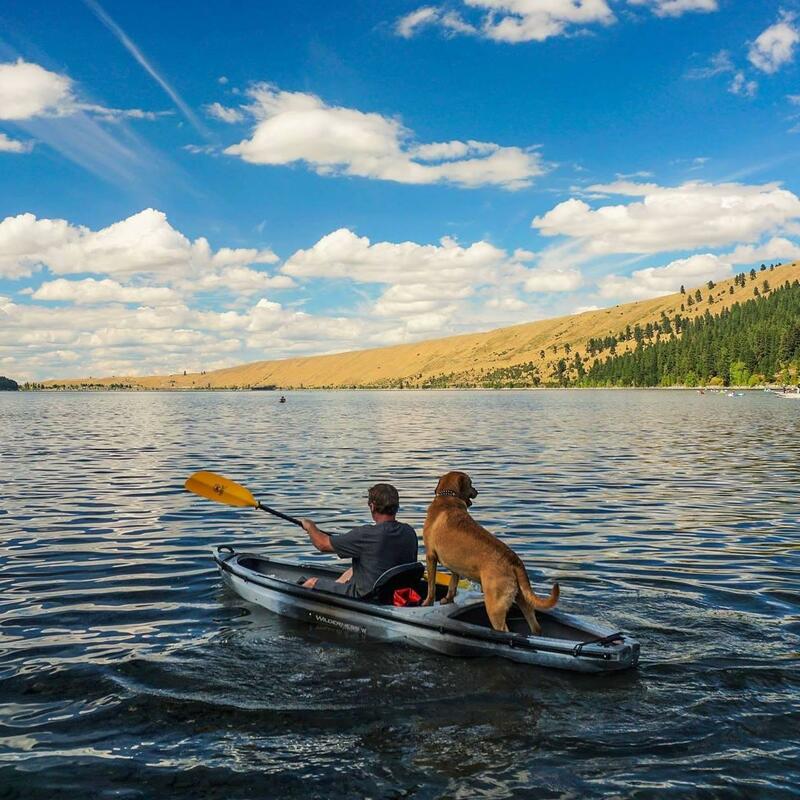 Hearing people talk about how much they love kayaking with their pups warms our hearts. Meet Felicia and Fletcher, the kayaking beagles, pictured cruising down Lewis Smith Lake. “We’ve spent seven years boating, fishing and canoeing beautiful Lewis Smith Lake in Alabama,” said their lucky owner. Featuring the NRS Dog Life Jacket. Check out Merlin’s jacket! This fluffy boy is ready to be a pup on a SUP. “We love the Ruffwear K-9 Float Coat,” raved Merlin’s owner, “It’s very comfortable and well-made, and easy to get on and off.” Good news! A safe and comfy dog is a happy dog. This sweet pup spent a rainy day testing their new Feelfree tandem kayak. The kayak did great, but he’s not loving the rain. He’s still there to protect and guide though! Check out Tulliver popping his head up to enjoy the view. According to his dad “This PDF is so comfortable Tulliver acts like he doesn’t notice it.” No uncomfortable buttons to distract Tulliver from sightseeing. Proof that dog PFDs don’t have to be ruff! Featuring the Ruffwear K-9 Float Coat. “The Captain” guiding the way on Wallowa Lake. This little guy’s going to need a bigger cooler! Featuring the Yeti Tundra 35 Cooler. A traveling pug. He rarely asks to paddle. This sweet girl has a little deck mat so she doesn’t slip and slide at her helm. Meet Flash! This handsome boy’s owner was happy to find that his Yeti cooler is tougher than his bulldog. Featuring the Yeti Tundra once again. Nothing quite like two dog friends enjoying a ride on Belton Lake. Featuring the Ruffwear K-9 Float Coat once again!